Art is Basic-- Art Teacher Blog: It's here! Finally! My copy of the magazine has arrived. Featuring magazine was started by the lovely Marit in the Netherlands. 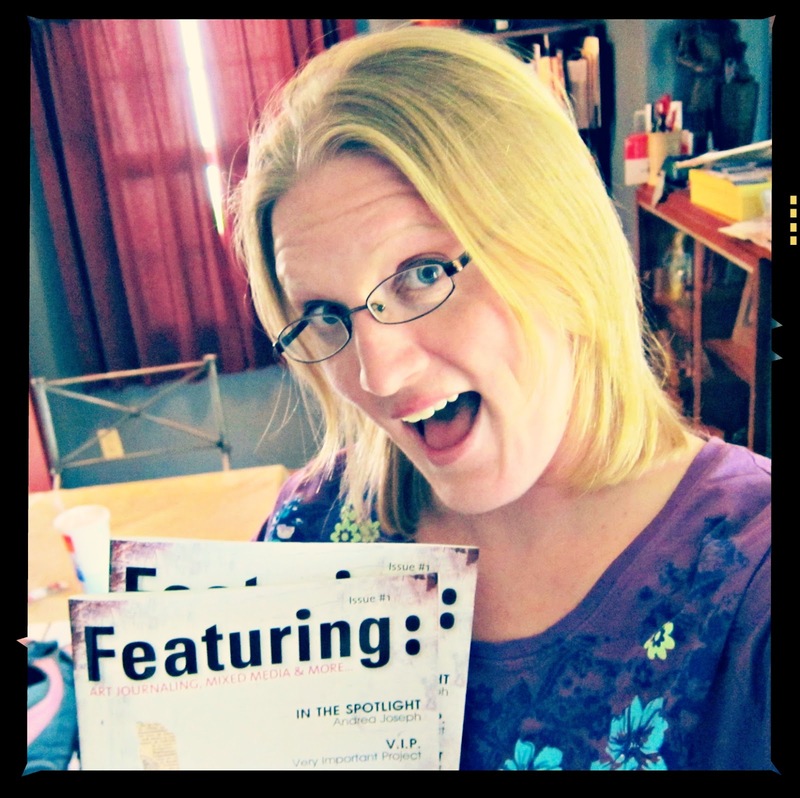 It is about art journaling, mixed media and other arts. She had a call for submissions and applications to be a contributing editor and I was thrilled when my article and application were accepted. After several months of brainstorming, interviewing and writing.. plus the countless hours Marit and her husband spent with layout, editing, printing and everything else... the magazine has been printed and delivered to my door. I'm excited! Go to the Featuring website to find out information on how to order. wow, this is really intersting.